The other is "Hans Hofmann: Art Like Life is Real." 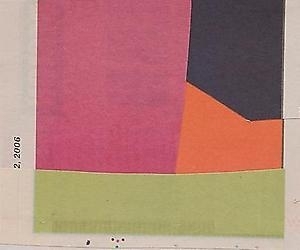 The gallery continues, "In his essay for the exhibition catalogue, William Agee describes Hofmann as going against the grain of the artistic canon of the day; 'His art was too big, too bold, to be encapsulated in a few years after 1945, the years we generally identify as the heyday of abstract expressionism.' Instead, Hofmann preferred to search for what he believed to be the real in art, stretching it beyond the confines of a signature image. This exhibition offers a selection of his divergent poly-referential works spanning a period of 1944 through 1962." 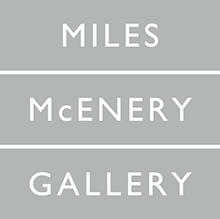 Don't maintain a discrete distance from Ameringer | McEnery | Yohe this week - seek instead to close it.